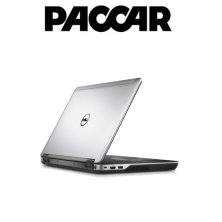 PACCAR MX engine factory diagnostic software & hardware package. Covers Paccar MX engines thru present model year. Software installed & authorized prior to shipment to your location. Once it arrives at your facility it is ready to use. Paccar technical support is included at no extra charge. Available software updates are can be downloaded whenever the DAVIE 4 is opened.